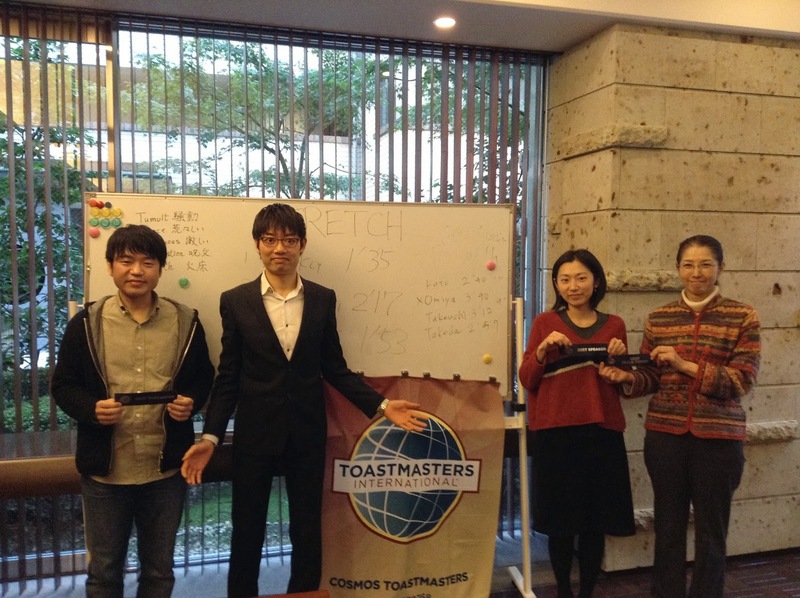 TM Taniguchi was the best Table Topics speaker. Mr. Takeda was the best evaluator. Mr. Sakagami was the best speaker.